An Apple a Day Keeps the Low Marks Away! 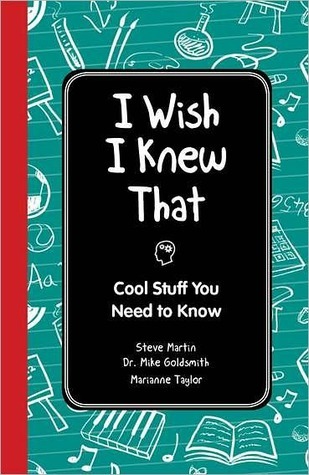 The title of the book is "I Wish I Knew That: Cool Stuff You need to Know" which I found amusing. In my case it should have been titled "I Wish I Knew That: Cool Stuff I Used to Know but from Lack of Use I Forgot". While this book is aimed at children, I found that it was filled with useful facts that for an adult, will impress your friends or help you get the upper hand in Trivial Pursuit. The premise of the book as put forth by Martin, Goldsmith and Taylor is that there are a lot of cool things your teachers might not have taught you. This book covers all kinds of subjects; literature, math, history, science, etc.... 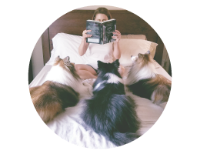 It doesn't go in depth (they describe it as “bite-size chunks of information”) but it does gives you enough so you won’t look like a deer in the headlights when these subjects come up in conversation. In my case I had forgotten most of this "cool stuff". It did come back to me as I was reading. In fact, each part of the book brought back memories, especially while reading the Shakespeare section. I remember having to stand in front of class and quote Hamlets soliloquy. I was nervous and had to restart because my teacher said I needed to "feel it". To this day I can still quote it (at least most of it). "Classic Stuff" was another chapter that made me reminisce about Latin and Greek class. 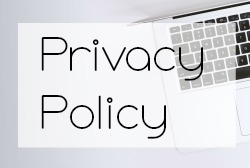 I Wish I Knew That left me a little reflective of my age and how we really don't forget what we learn, we just move it to the back of our brain to make room for newer information like the 800 passwords we now have to remember at any given moment. Rating: 3.5 out of 4 Overall this is just a fun quick read. Who knows maybe you'll learn something new or just remember things that you've pushed to the back of your mind. For children, the target audience, it may get them interested in subjects such as geography, history, math, science & the arts that were previously of no interest to them.